We always keep the list of launching startups and products at our big events strictly confidential until the day of launch. But we’re finalizing the list of launching companies at TechCrunch Disrupt this week, and we usually give out a single teaser prior to the event. We’re excited that Comcast will be launching a new product called Tunerfish on May 24 in New York at Disrupt. 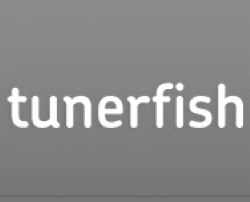 What’s Tunerfish? We’re not saying, but we think you will be suitably impressed. The Plaxo team (Comcast acquired Plaxo in 2008) is behind the new product, led by former Plaxo VP of Marketing John McCrea (John’s blog is here). Tunerfish may or may not have something to do with Comcast’s ambitious Fancast plans. We’ve got lots more to announce around TechCrunch Disrupt, including even more incredible speakers and other surprises. See you in New York on May 24.